TomTom’s upping its wearable game this year to include three new fitness wearables, one of which the company claims is the “world’s first” tracker to measure body composition and “all-day heart rate from the wrist.” The three devices are: The TomTom Spark 3, the TomTom Adventurer, and the TomTom Touch. The TomTom Touch is looks like a more rounded Fitbit Charge 2, with the addition of the round, indented circle — that’s where you’ll place and hold your finger when the device is checking your body composition. A signal is sent throughout your body and it resonates though layers of fat, muscles, and organs to determine your composition. Do you really need to check your body composition that often? TomTom thinks it will help, saying that “body composition provides a better understanding of fitness levels and how it changes over time.” The Touch can also track sleep and your heart rate up to five days at time. It features a touch-sensitive screen and has a water-resistant rating of IPX7, meaning it can take its fair share of splashes of water. The Touch also offers up smartphone notifications, a five-day battery life, and it offers stats that show how your body composition changes over time. The band colors come in blue, red, and purple. It costs $130, and will be available in October at TomTom.com, Amazon, REI, and Backcountry. 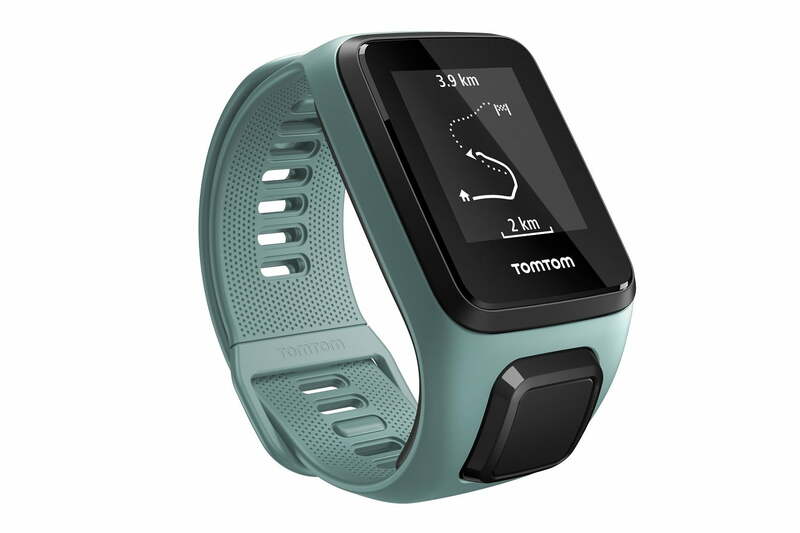 The TomTom Spark 3 is akin to the Fitbit Blaze in that it’s a fitness-tracking wearable with a smartwatch-like, square screen. It doesn’t have the body composition feature like that Touch, but the Spark 3 has a built-in GPS, 3GB of storage for on-board music and a music player, a heart-rate monitor, and Route Exploration. The latter lets you upload up to 15 routes onto the smartwatch — whether it’s of a hiking trail or a path in a city. When you head out, you’ll see your path etched out, as well as a way to get back to the original starting point, in case you get lost. The GPS allows you to see real-time metrics while you run, such as distance, pace, and speed. TomTom says the Spark 3 has a two-week battery life, but that cuts down to five hours if you’re playing music, using the heart rate monitor, and using GPS at the same time. The device is water-resistant up to 130 feet. TomTom is also providing a set of Bluetooth headphones that last for six hours, The Spark 3 comes in black or “aqua” in large and small sizes. 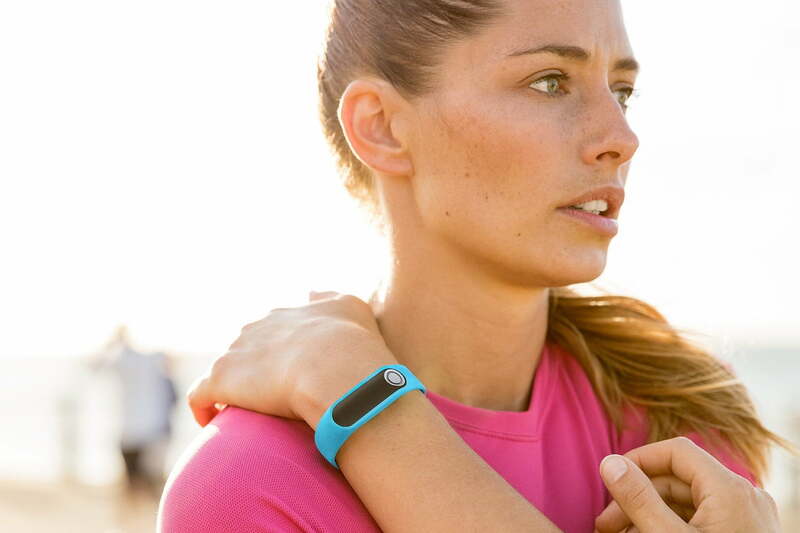 More colors are on the way, but it costs $250 for the fully loaded variant — that’s with the heart rate monitor. Bluetooth headphones, and 3GB of storage for music. You can buy the base model for $130; adding the 3GB of music storage and the headphones costs $150; and the base Spark 3 model with the heart rate monitor costs $180. It will also be available in October at TomTom.com, Amazon, REI, and Backcountry. Take everything about the Spark 3 and add more outdoor features — that’s the Adventurer. It does the same Route Exploration feature thanks to embedded GPS, a heart-rate monitor, a music player, but it’s also a lot more rugged than the Spark 3. You’ll find a host of useful tools in the device, such as a compass, a barometer, and sport modes for trail running, hiking, skiing, and snowboarding. The Adventurer is also water resistant up to 130 feet, and its bands are compatible with the Spark 3 in case you want to swap them. 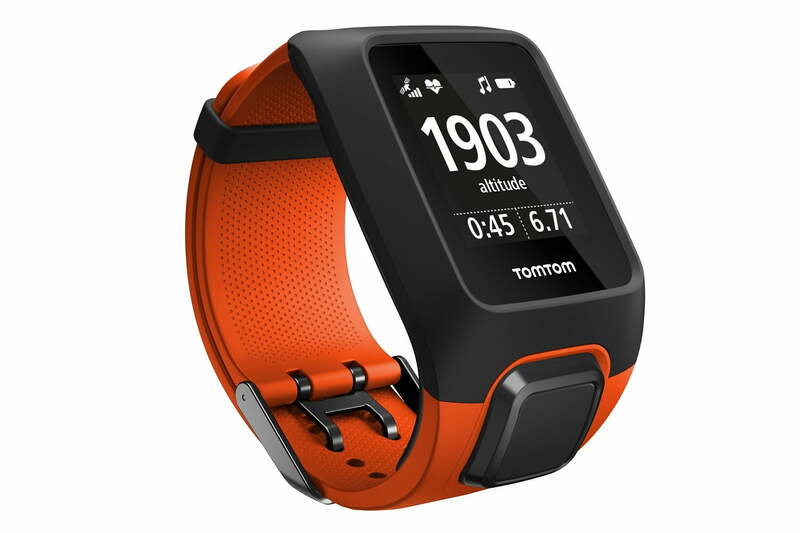 It’s a little pricier at $350, and it’s also not available until October 18 at TomTom.com. You’ll still be able to grab it at the same online retailers. All the devices connect to your iOS and Android smartphone via TomTom’s MySports app. Expect a hands-on of these devices within the coming weeks.